A NEW ladies’ football club is being formed at Pagham. 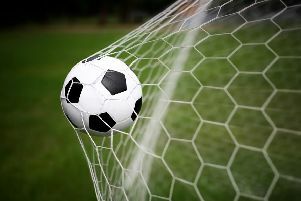 The team is aiming to fill a gap that exists between Chichester and Worthing for players caught up in the growing popularity of ladies’ football. One of the organisers, Lauren Osborne, said: “We got started as we felt there was no local team available to women aged 16 and up apart from Chichester or Worthing. “Chichester are playing at quite a high standard now and for the players who just want to play football again, keep fit and have fun, it may not be a feasible option. “For anyone who lives in the Bognor area, the journey over to Worthing and back is quite a distance two days a week on a week night especially as the evenings are drawing in. There used to be a couple of ladies’ teams floating around Bognor but upon looking for any recently, there doesn’t appear to be any – and this gave us the idea of setting up our own one. “We approached Pagham FC’s chairman and the club have been extremely supportive, setting us up with balls, cones and bibs as well as use of facilities. “We are looking to join a league next season so at the moment we are training twice a week, which is really enjoyable with no pressure and with a really friendly atmosphere.